This class T steam locomotive was one of the five small tank engines built by W.G.Bagnall Limited of England in 1927. 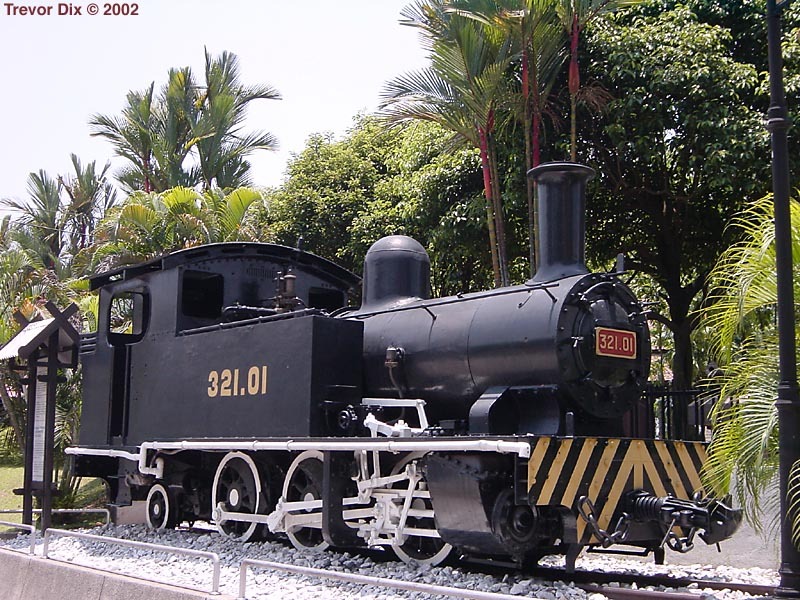 With plate frames and pony trucks, they were the first British-built engine to have steel fireboxes and shipped completely erected for use by the Federated Malay State Railways in 1929. Used for dock service, it was stationed at Singapore and Port Swettenham (nor Port Kelang) until 1964. Its full weight was 31 tons with 1.5 tons of fuel and 750 gallons of water. 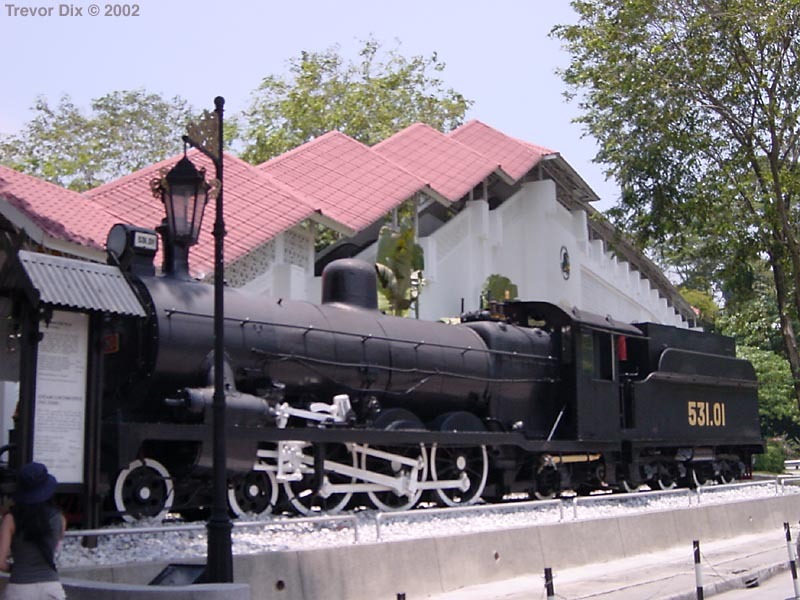 This steam locomotive was first put into service in 1921 by the Federated Malay States Railways at a cost of M$121,000. 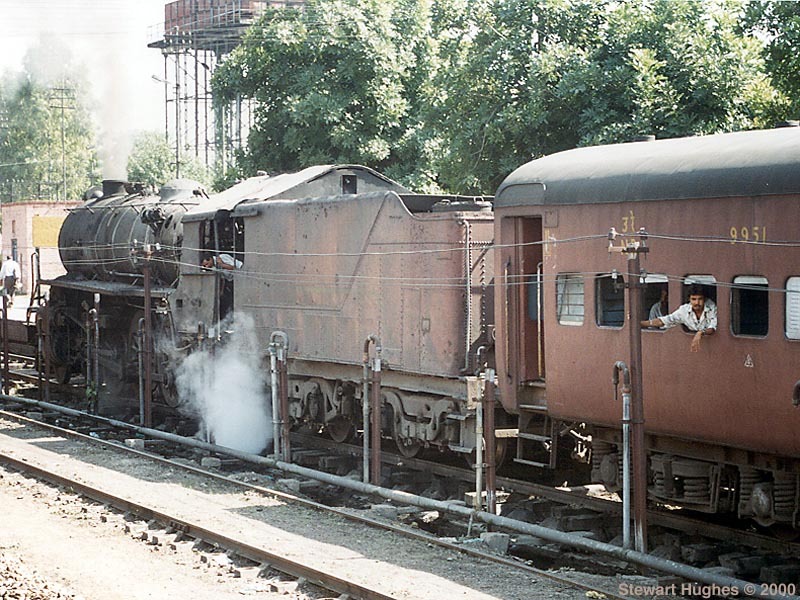 In November 1969, it was withdrawn from service from the East Coast main line in Kelantan. It has covered about 1.5 million rail miles. Total weight of engine and tender (empty) 69 tons. Total weight of engine and tender (in working order) 88.5 tons. Total length of engine and tender 59 feet. Made by Kitson & Co., England. Donated by the Malayan Railway in November 1973. Somewhere north of Beijing. Two splendidly clean diesels pulling a splendidly clean line of green coaches. 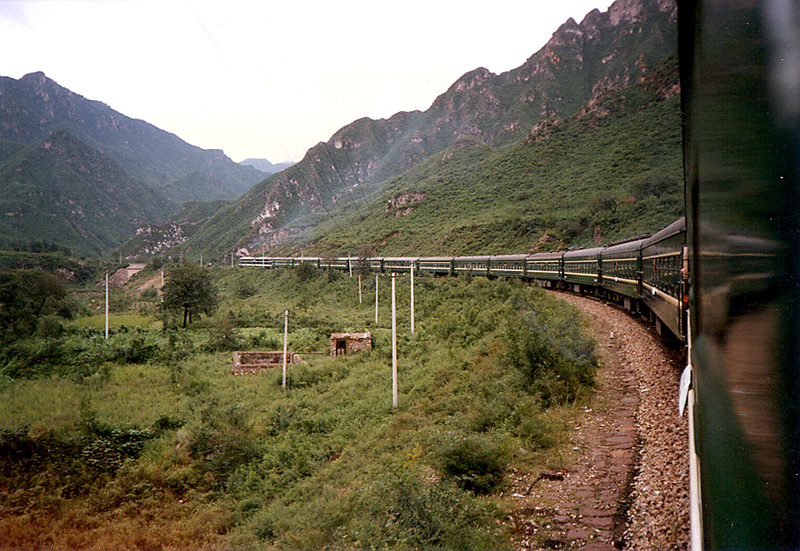 There was a zigzag here somewhere as the train climbed off the plain. 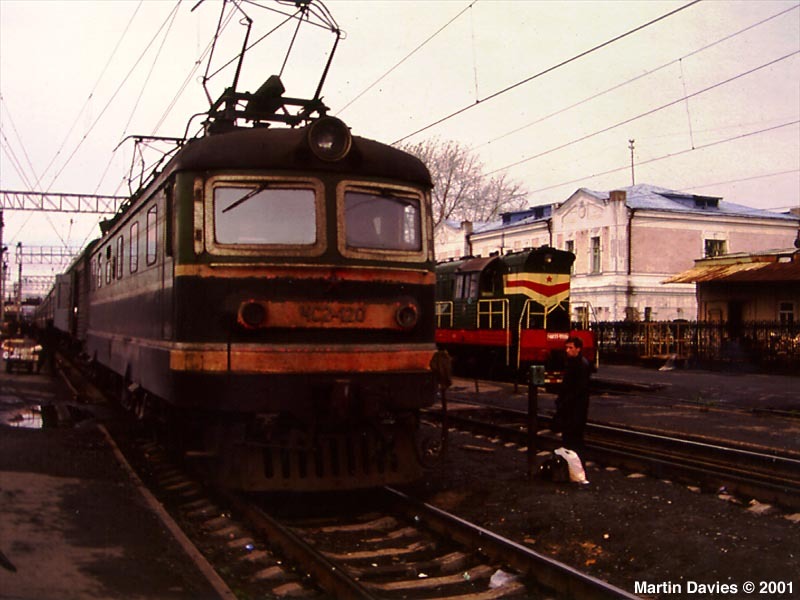 The loco of the TransSiberian Express. 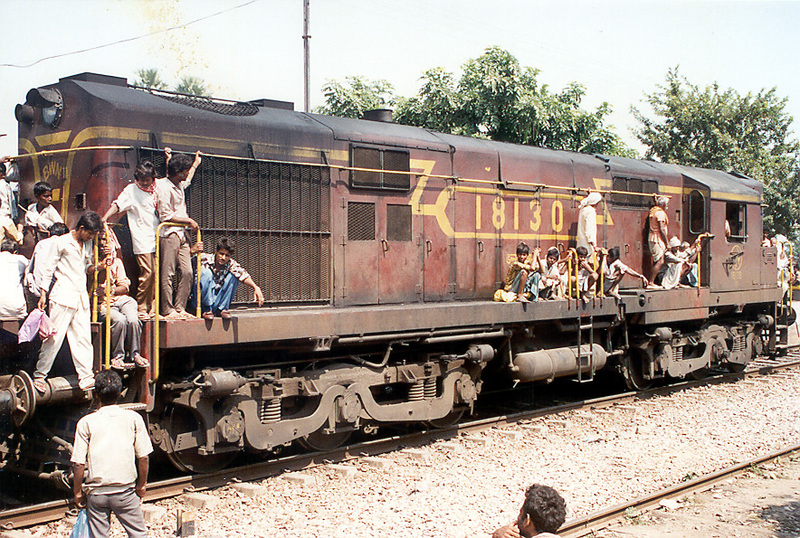 This very shabby (but still working) locomotive was found somewhere near Amritsar. 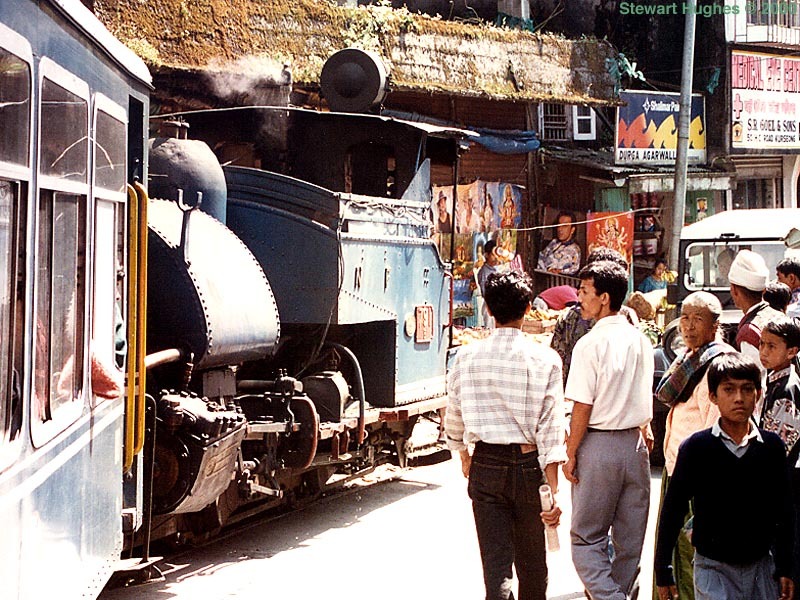 Another Himalaya and Darjeeling Railway shot - this time down a town main street on the way down to Siliguri. 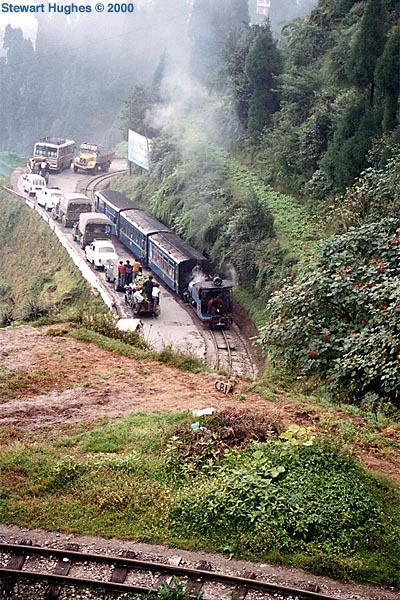 Another loop on the Darjeeling line - showing the train sharing the road! 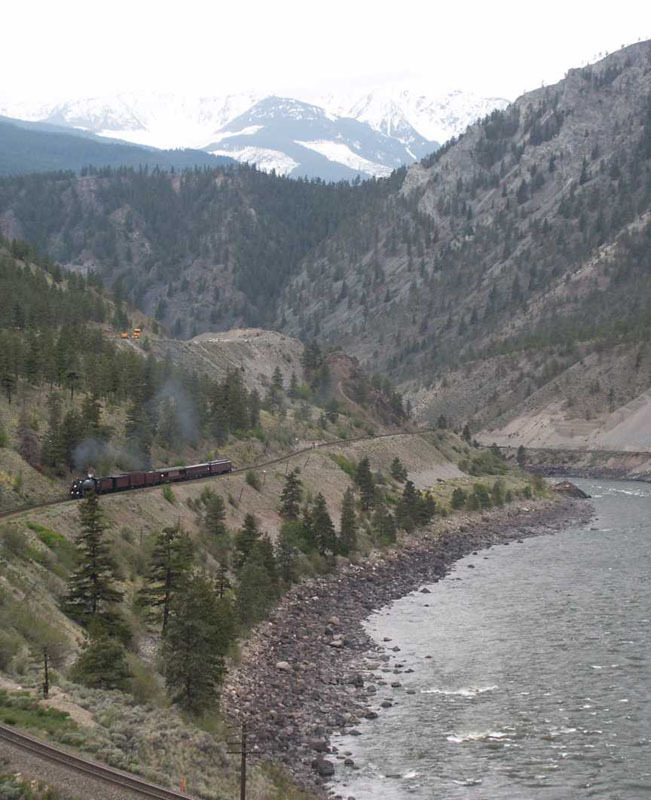 This is another mountain narrow gauge line in the south of the country. 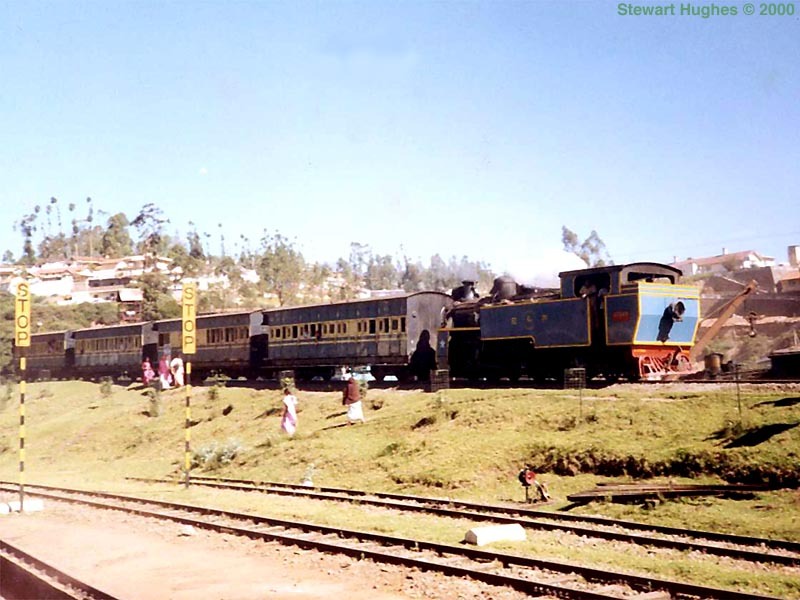 This line runs to the old British hill station of Ootacamund, better known as Ooty. The Raj used to retire here from Madras to get away from the heat of the summer. 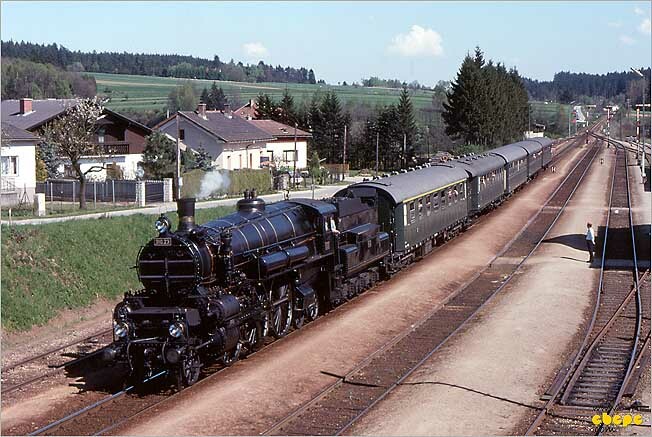 These locos are Swiss designed. Here's the Wisconsin Circus Train leaving Hardford Wisconsin on one of it's numerous trips prior to it's arrival in Milwaukee for the Great Circus Parade. 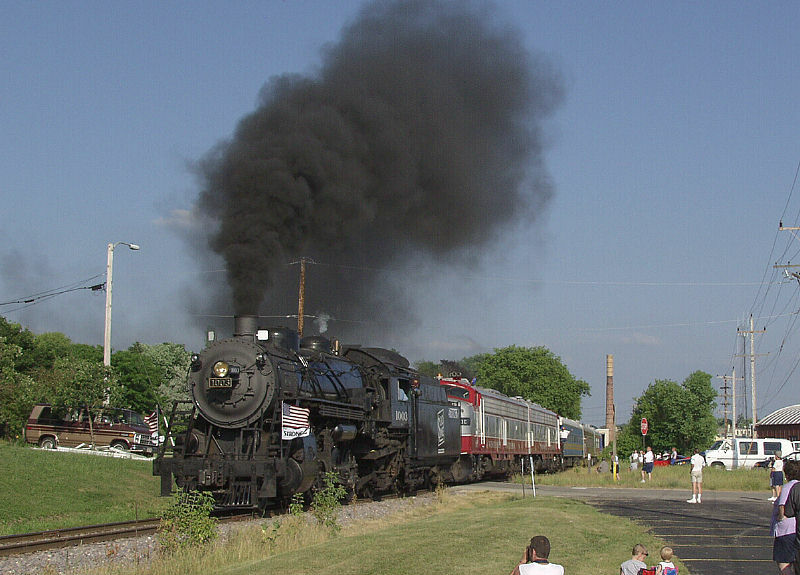 The Soo 1003 steam engine gets it's chance at pulling the train this year. American Flags Flying and plenty of Black Smoke Rolling out her stack, she puts on a good showing for the spectators. 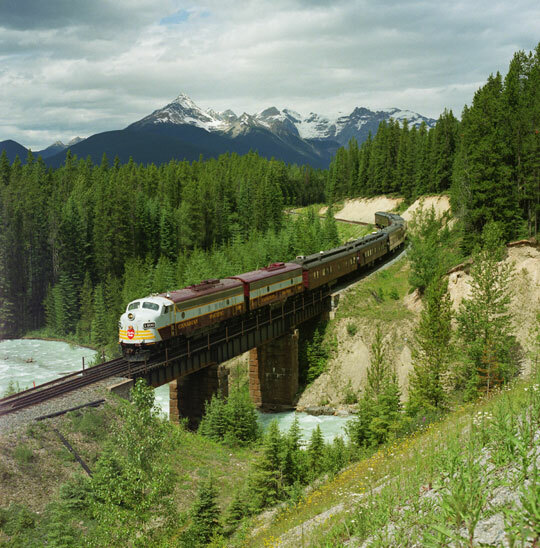 Royal Canadian Pacific travels west over a bridge at Ottertail, B.C. 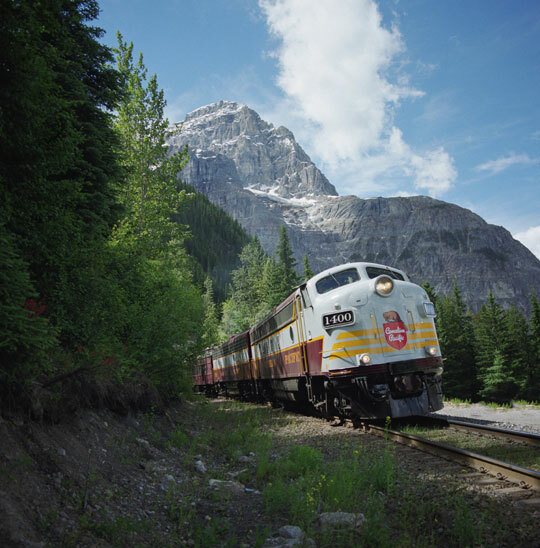 Royal Canadian Pacific leaves the Spiral Tunnels with majestic Mount Stephen, Alberta, in the background. 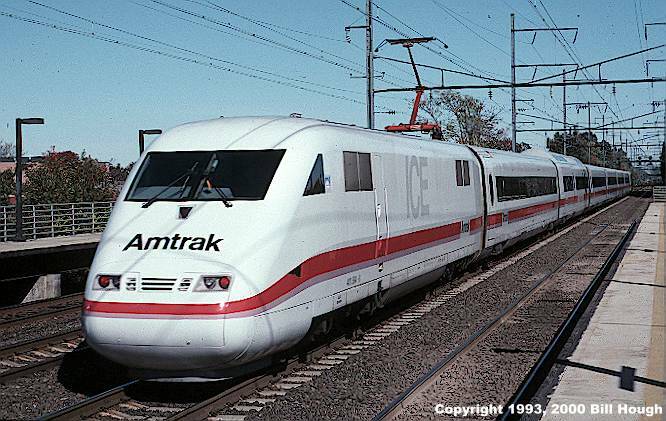 Amtrak's leased ICE train passing through Elizabeth, NJ, fall 1993. 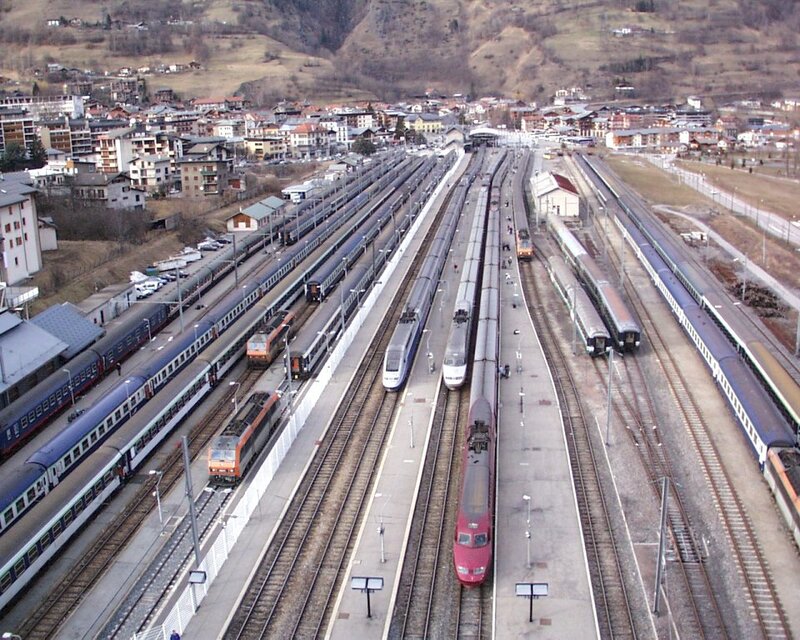 An aerial view of Bourg St Maurice station, you can see 3 high-speed trains and a normal train at platforms. On each side are the storage tracks for trains waiting to return with passengers. 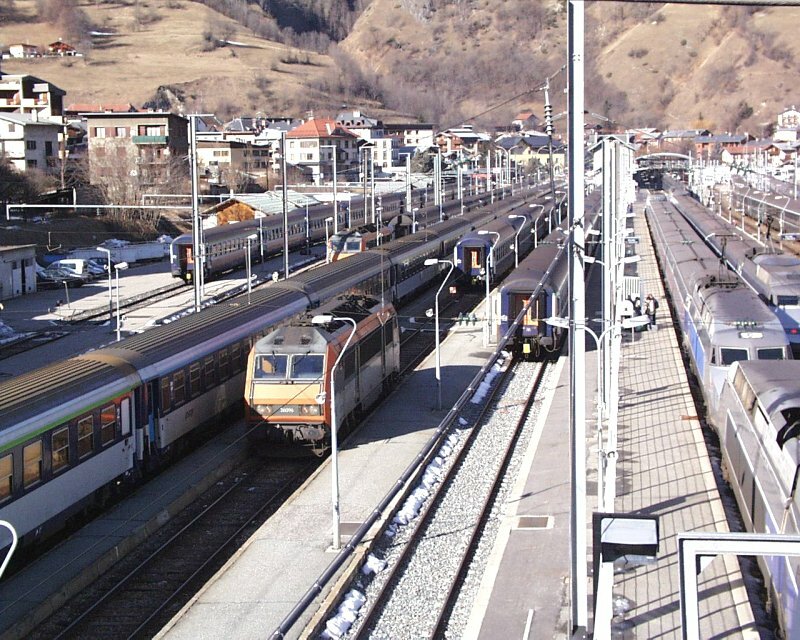 A photo of the station of Bourg St Maurice take on the footbridge over the tracks. 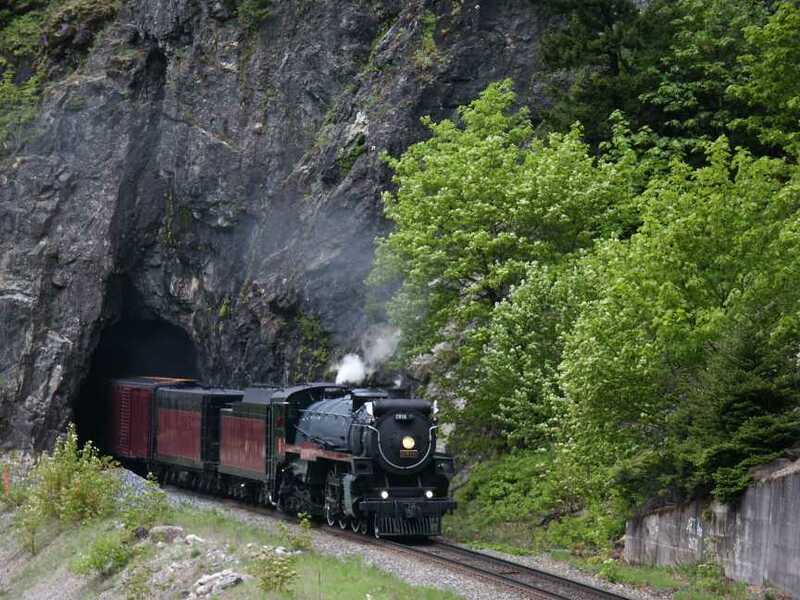 A vintage/special event photo of the steam loco 310.23 at the Franz Joseph Line in Austria. It was taken during a special event in 1987. Photo stop at Allensteig. May 13th, 2002. 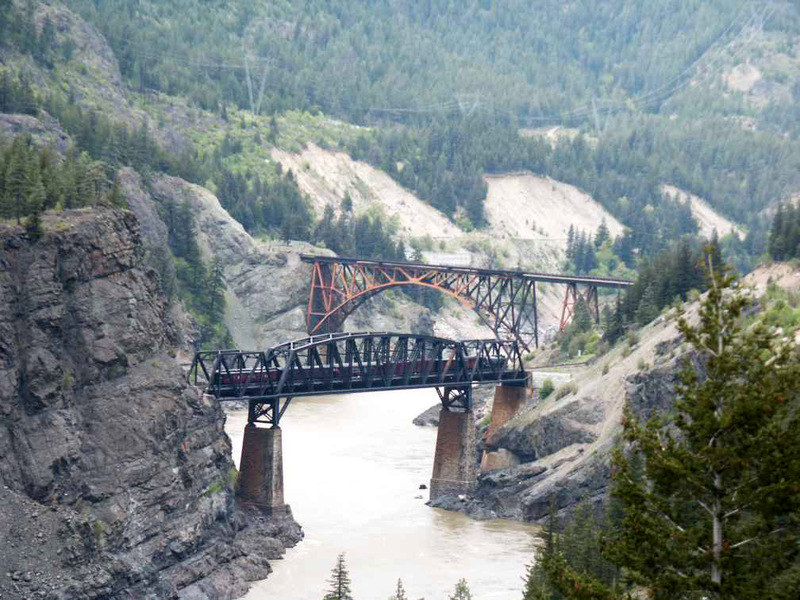 CPR 2816 is at Cisco in the Fraser River Canyon. May 13th, 2002. 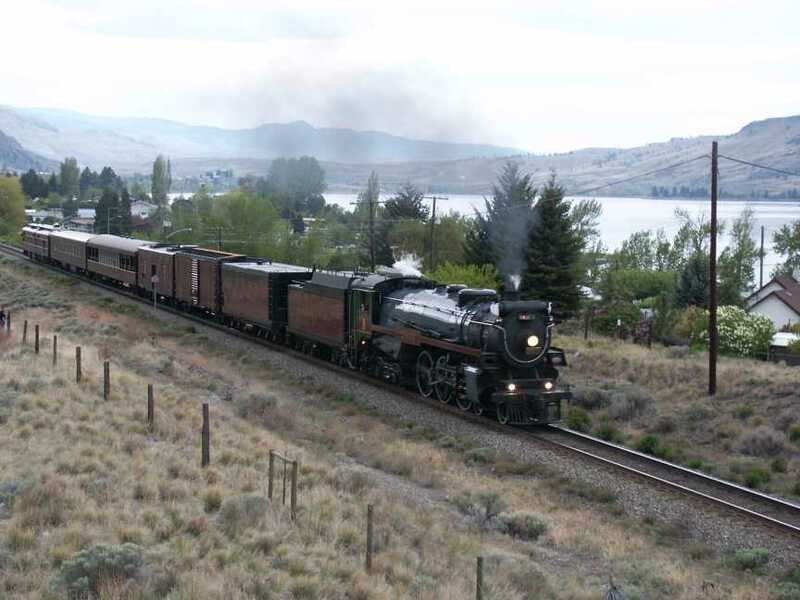 CPR 2816 approaches Kamloops on it's way from the Vancouver, BC area. May 13th, 2002. 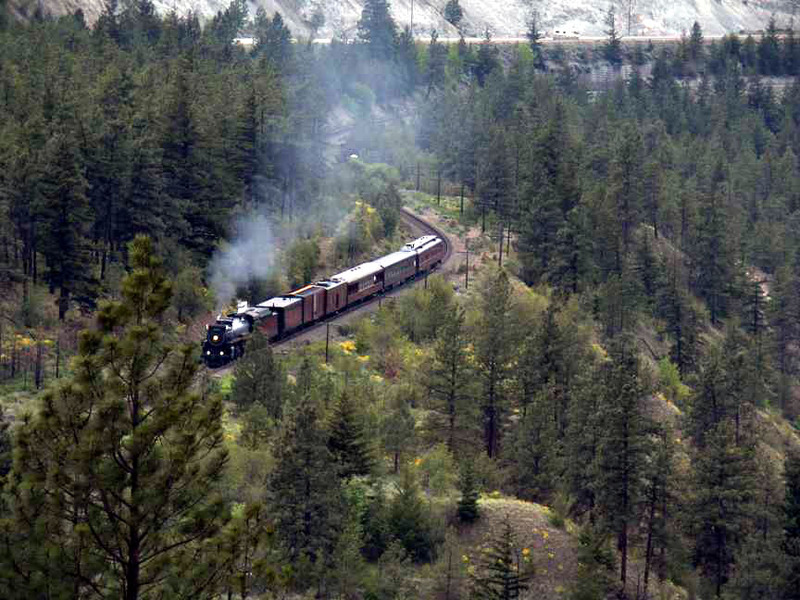 CPR 2816 is passing through Yale, BC on the way to Kamloops. May 13th, 2002. Headed out at 8am to Mission and drove up looking at possible photo locations knowing on this fast track with a slow road only one shot I would ever get. Eventually just took a long shot down a straight that would be at speed and boy was she moving at this point. 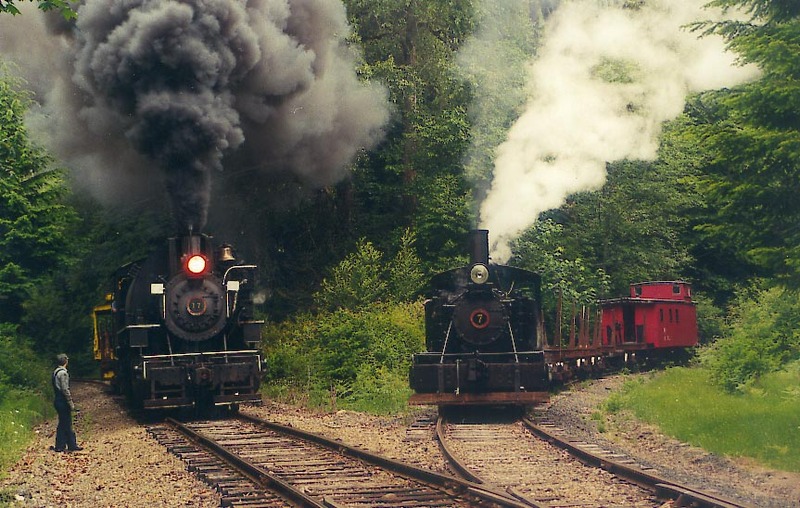 Elbe Railfan Days, June 30th 2001, saw the debut of two newly restored steam locomotives: Curtis Lumber Co. Heisler #2 and Mason County Logging 2-6-2T #7. 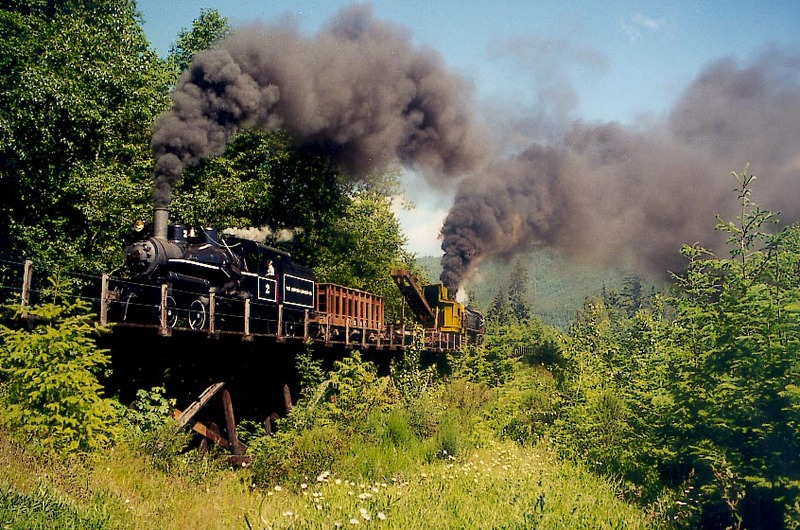 Here Curtis Lumber Co. Heisler #2 and Hammond Lumber Company Alco 2-8-2T #17 are shown pulling a work train across the Nisqually River Trestle during a photo runby. Mason County Logging 2-6-2T #7 is in the clear on the wye at Park Junction while Hammod Lumber Co 2-8-2T #17 holds the main with work train. Fireman Aaron Zorko gives #17 a roll by as she passes his train. 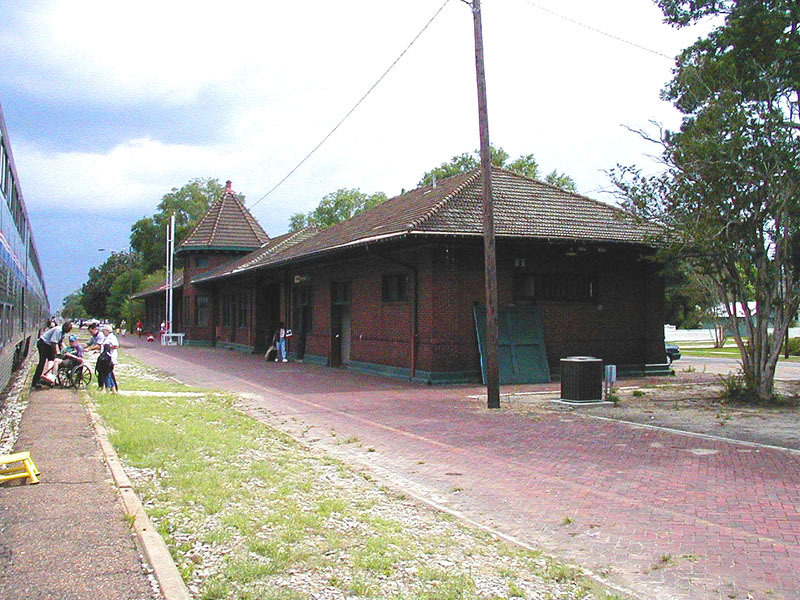 This is a shot the old station in Hammond, LA. It actually looks a little better than this photo taken on an overcast day by a novice with his new digital camera. 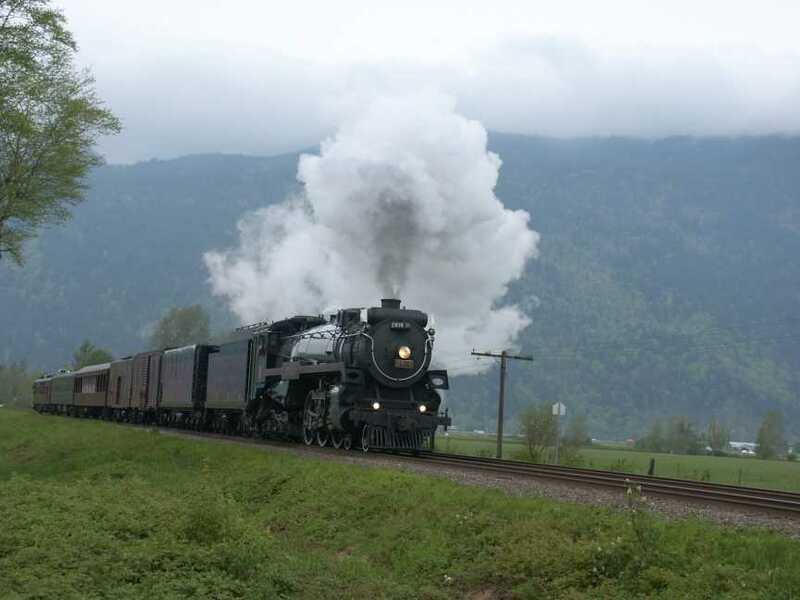 Our train was making two stops at many of the stations because it was so long - four or five coaches, two sleepers, Lounge car, Diner, transition sleeper (used for the crew), two baggage cars and four or five express freight cars. 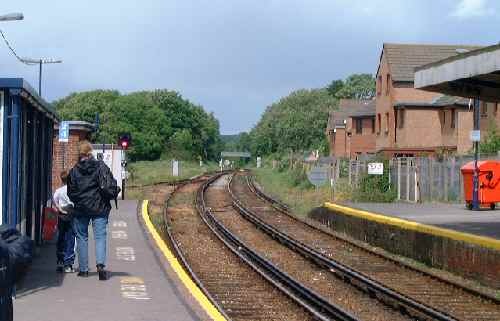 Sandown station in May 2000 looking north towards Brading. This was once an important junction for the branch to Newport via Merstone, Isle of Wright.